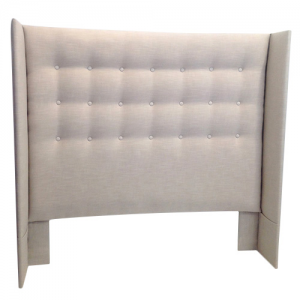 Grand, Gracious and Classy, the SIENNA upholstered Bedhead breathes timeless elegance into any bedroom. 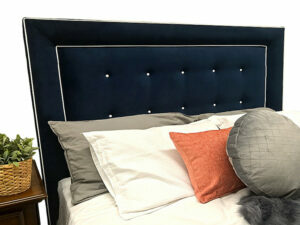 Built on solid foundations, this custom made bedhead is highlighted with bold wings (your choice of size) and features a sharp straight top, complemented with traditional straight buttoning. 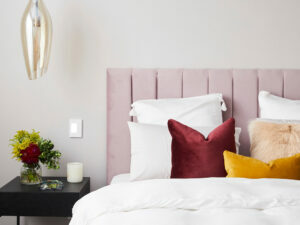 Create a statement with the Sienna bed head custom made in an upholstery linen, a plush velvet, a smooth suede, a leatherette or 100% plain cotton fabric from leading fabric houses, Warwick, Profile, Zepel or Wortley. Simply select your texture and colour. The Sienna bedhead is available in all sizes, single, king single, double, queen, king, super king and even custom sizes. Create your look of luxury today and purchase in combination with an upholstered bed base, valance, footstool or blanket box.